Seven feature films by Japan’s master animator Hayao Miyazaki will show between September 14 and October 28 at the Cleveland Institute of Art Cinematheque, 11141 East Boulevard in University Circle. 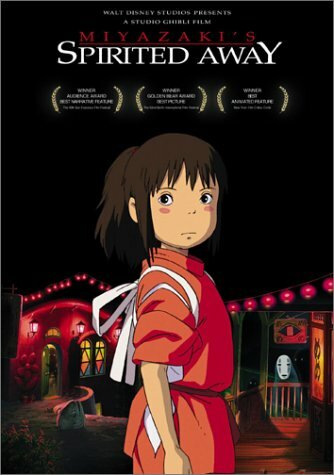 The series, entitled “Spirited Away: Seven Films by Hayao Miyazaki,” includes new English-subtitled 35mm prints of the director’s greatest works, including MY NEIGHBOR TOTORO, CASTLE IN THE SKY, PRINCESS MONONOKE, and the Oscar-winning SPIRITED AWAY. Admission to each film is $9; Cinematheque members $7; age 25 & under $5 (with proof of age). When one thinks of Japanese animation—or “anime,” as it is known to its legion of international fans—one tends to envision adult-oriented, futuristic epics of good and evil that teem with action and gleam with robots, cyborgs, and cutting-edge technology. This, however, is not the world of Miyazaki (b. 1941), co-founder (with fellow anime master Isao Takahata) of the revered Studio Ghibli. Miyazaki, who is sometimes called “Japan’s Walt Disney,” makes gorgeous, family-friendly fantasies that are as gentle and poetic as most anime is violent and prosaic. In addition, his films tend to be warm and inviting (not cold and steely), sweet instead of scabrous, and more concerned with preserving the natural world than fighting for control of a post-apocalyptic wasteland. Miyazaki’s protagonists are usually girls—another departure from the macho ethos of most anime. These young women struggle to find their place in the world—and their “worlds” are richly imagined realms populated not only by other people, but also by ghosts and spirits, sprites and fairies, mythical creatures, and gods, monsters, and demons. They are coming-of-age stories like no other. Flight is another recurring motif in Miyazaki’s movies. Almost all of his films feature flying machines or flying creatures (or a flying island), and they absolutely soar during the breathtaking aerial sequences. But even when the action is on the ground, Miyazaki transports moviegoers to fantastic universes suffused with humor, whimsy, excitement, and emotion. Thanks to GKIDS Distribution and Studio Ghibli, local moviegoers can take these magic carpet rides this fall. All films will show in the 616-seat Aitken Auditorium of the Cleveland Institute of Art. Free parking for filmgoers is available in the adjacent CIA lot. For further information or images, contact John Ewing or Tim Harry at (216) 421-7450 or visit www.cia.edu/cinematheque.